Price from 18.900 ISK PER PERSON. 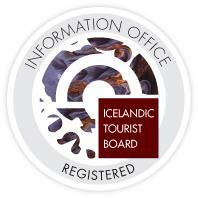 Pick up at hotels and guesthouses in Reykjavík area for 3.000. – ISK per person. This guided tour is a unique way to enjoy Icelandic nature, yet starting off only 20 minutes from downtown Reykjavik. Strap into a two-seat Buggy with your partner and prepare to overcome obstacles in the rugged landscape by the slopes of Esja mountain, climbing hills, running through river beds, and more. This is an especially designed tour for you who craves bumpy, dusty, dirty driving thrills. No extra charge for dust, mud, water splashes, or even snow! We stop on the way, so both have the opportunity to drive. You need a valid driving license to drive the Buggy. It is a good idea for you to bring extra clothing on this tour, as you might get wet!